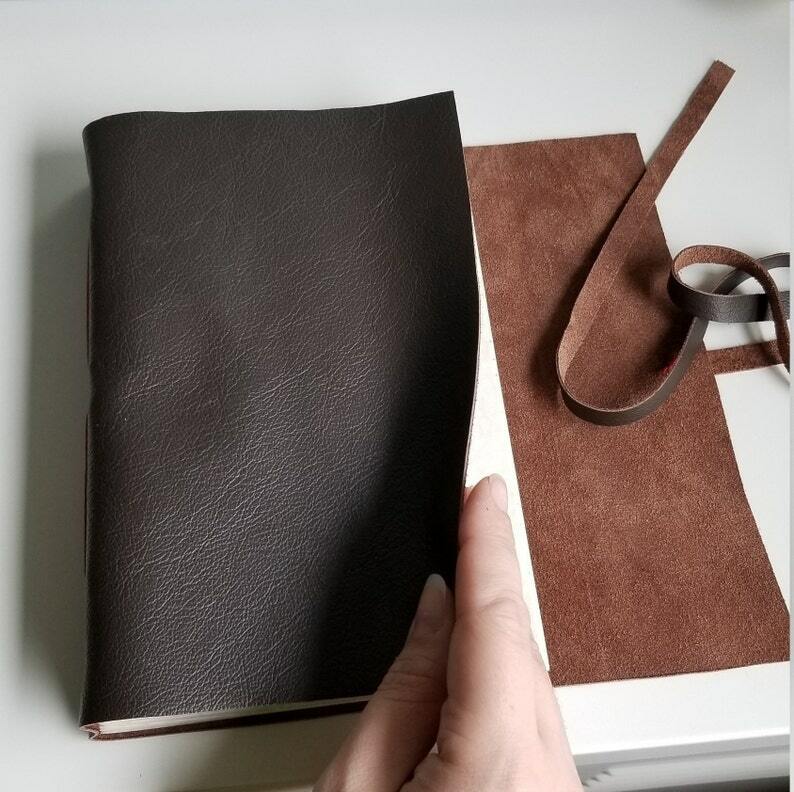 This large handmade leather journal has been lovingly made by me. It is a wonderful way for you to jot down notes, sketches, ideas, and more! This book would also be a wonderful guest book for your rustic country wedding! This journal is ready to ship! My little brother loves this. Thank you! For this notebook for boyfriend in the National Guard as it was small enough to carry and write in. 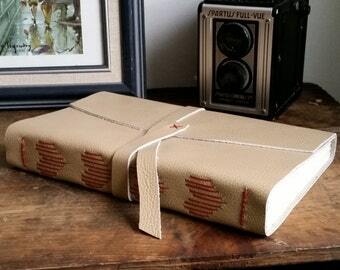 Once sent, shipping was good and the quality of the notebook itself was exactly as expected. I had a custom order made (specific book cover made) and am completely satisfied with my purchase. Shirley was extremely patient in answering my incessant questions and explaining the processes, she even went so far as to make some YouTube videos to better illustrate what she meant when I didn't understand certain things. There were some delays as to when the book got here, but that's almost entirely chalked up to this polar vortex right now. All in all, would totally buy something from the Orange Windmill/Shirley again! Can I have lined pages instead of blank? I do not bind journals with lined pages at this time. ***NOTICE*** The Canada Post strike has finally ended! However, shipments through Canada Post can still be delayed up to early 2019. So if you want your journal shipped to you in time for the holiday, please use "Expedited Shipping" for your shipping option, which will prompt me to ship via UPS, offering 5 business day shipping plus tracking. Yes! Expedited shipping is an option that you will see during your checkout process.